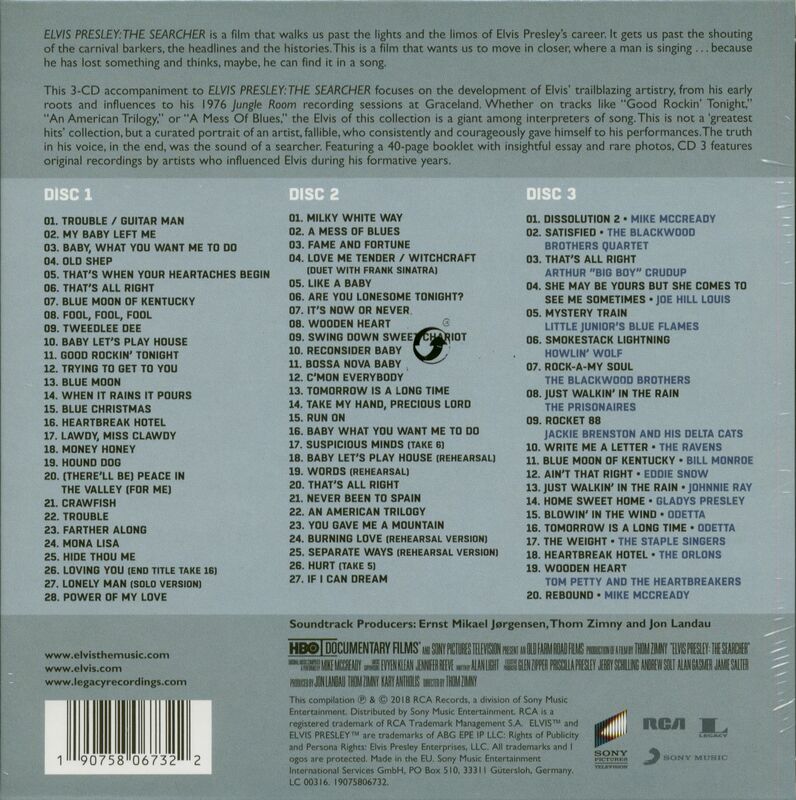 Soundtrack for the two-part documentary directed by Emmy® and Grammy® award winner Thom Zimny. Elvis Presley: The Searcher (The Original Soundtrack) is released as CD, double LP, 3CD Deluxe Box. 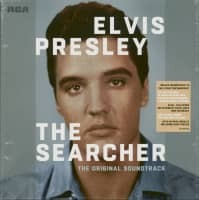 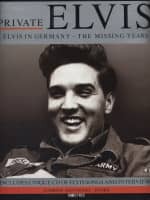 The soundtrack is a portrait of Elvis' entire career, with 18 songs illustrating his artistic career - of course with the hits, but also with rarities. 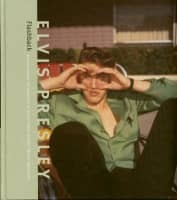 We see and hear the development of the King of Rock'n'Roll, from its blues and country roots to its groundbreaking contributions to modern pop culture and the recording sessions of 1976 in his'Jungle Room' in Graceland. 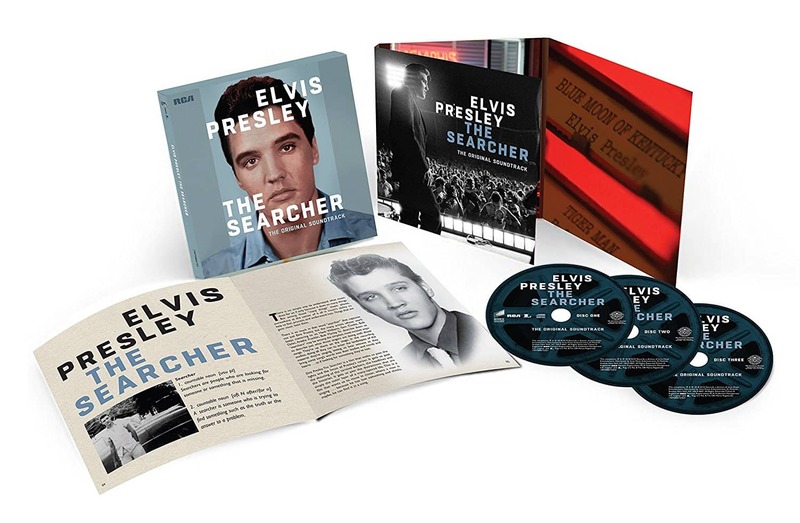 The three CD deluxe box set presents an additional 37 Elvis titles and excerpts from the film music for which Pearl Jam guitarist Mike McCready is responsible. 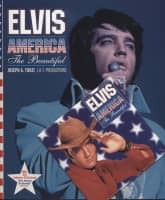 Further highlights of the box set:'Wooden Heart' in an interpretation of Tom Petty and the Heartbreakers and the music that inspired Elvis, like R&B and country classics or the title'Home Sweet Home', sung by Elvis' mother Gladys Presley. 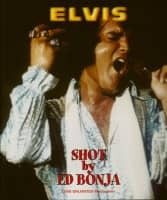 A 40-page hardcover booklet with rare photos and detailed liner notes completes the package. Customer evaluation for "The Searcher - The Original Soundtrack (3-CD Deluxe Edition)"